First and foremost we believe it is important that we first take you through the history of Flawless so that you become acquainted with our dedication and professionalism in the pet industry that we love. In 1983 Flawless was created to provide convenient but quality pet training and professional animal grooming services to the customers. 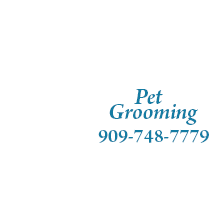 Flawless was the first company in the Inland Empire to establish a Mobile pet grooming service with a fleet of seven grooming vans, which were dedicated to in-home professional animal care. 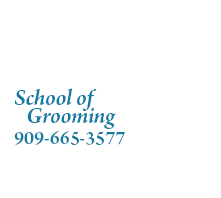 We also created the first state certified vocational school-secondary education for groomers in the Inland Empire, which has graduated over 300 students. We, as well, developed, manufactured and distributed our own pet care line called "Simply the Best" which included Herbal Shampoo, Pet cologne, Pennyroyal oil Shampoo, creme rinse conditioner and ear cleaner. Flawless thru its animal rental co. has supplied everything from ants to elephants for the film industry. We have trained for motion pictures, television commercials and special events. For our Inland Empire customers and friends we trained their pets in basic and advanced obedience and personal protection. From our humble beginnings in Riverside at the Woodcrest Shopping plaza where it all began, to our strategic acquisition of Massey Boarding Kennel in San Bernadino which for 10 years became the home of Flawless Pet Hotel-Training and grooming. Now we're in the City of Redlands, 1512 Barton Rd. in the Stater Brothers shopping center and the beat goes on from here! We would like to thank our wonderful past and present customers, our 300 students that have graduated from our school (and the ones attending), and the many employees that have helped service of our Flawless customers.